Great food (Nelapese) and customer service. Basic bar with outside decking and large beer garden. Free Wifi (ask bar staff for code) Dog and Kid friendly. Yes - now an Indian restaurant, although it does have a separate bar. But the service and beers are awful. To be avoided. 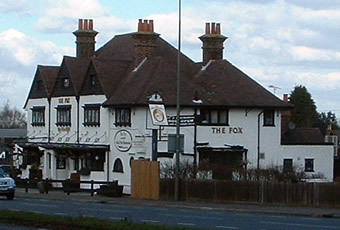 Visited the Fox for the first time since October when just the bar was functioning. There's been yet another change to this pubs fortunes but this time for the better, in fact a whole lot better. The bar area is much bigger, back to the sort of area it had five years ago. Although the decor is plain it does the business. A draught ale was on which tasted fine (couldn't see the name from where I was standing at the bar) but for good or ill they've left the pool table in one part of the room, no doubt inherited from the previous management. 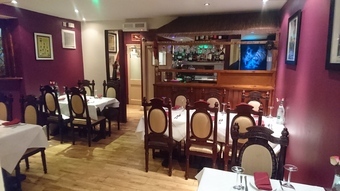 The restaurant is back to it's former glory but with a Nepalese style to the food. The meals we had were excellent the quality of the meat and the flavours were as good as I remember they nused to be. The service was very prompt and friendly and we had quite a laugh and chat with the staff. Well recommended to give this pub a visit more especially if you intend eating. Very pleased to read the posting of 23rd December. Not having seen this,I called in briefly on December the 26th and spoke with the owner. Evidently a lot has been spent on the refurbishment,example,the car park now surfaced and marked out professionally,and the previous public bar now lighter and seems more spacious. I understand that the menu given to me is temporary and a new one will soon be in operation. I gained the impression that this will again become an above average restaurant whilst having no direct connection with the previous owners. Sadly I didn't realise they had Doom,otherwise would have tarried,to the annoyance of my passengers! M. PS rating shown is at this stage based on instinct!